Students from the first graduating class at Harlingen School of Health Professions share their thoughts about their time at Harlingen CISD’s unique medical campus during the weeks leading up to their commencement ceremony. 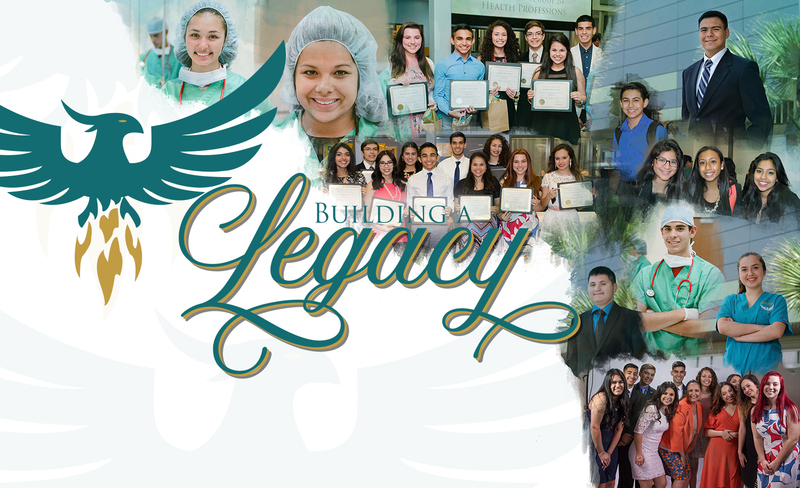 As seniors prepare to take the next step in their academic careers, “legacy students” from Harlingen School of Health Professions take time to reflect on their experience during these last few years. Justin Vasquez remembers his anticipation when he initially learned of HSHP. HSHP offers six areas of study including the School of Pharmacology/Biomedical Technology, School of Medical Science Research, School of Sports Medicine, School of Patient Care, School of Surgical Procedures, and School of Dental Science. They also have the chance to earn their certification in Certified Medical Assistant (CMA), Registered Dental Assistant (RDA), EKG Technician, or Pharmacy Technician. Not only have students gained knowledge and experience in their fields of study, but they have also learned about time management, perseverance, and have even made a few self-discoveries. That year, Cano said they had corresponding assignments in their World History and English II classes. Students chose a topic in World History and wrote a research paper on that topic for English. Daniel Villarreal recalls that during his first year, he assumed he would immediately be sent to work in a hospital. During their senior year, students have the opportunity to gain real-world experience through their Practicum II course where they shadow licensed healthcare professionals. Students HSHP eagerly await this moment when they can show their community what they have learned. Katelyn Grant, who often hears the words, “I wish I had that opportunity when I was your age,” from hospital workers out in the field, counts herself fortunate to be part of the medical professions school. In the practicum, every student has completed approximately 250 off-campus hours at sites within the community that include hospitals, specialized clinics, dental offices, pharmacy, and therapy sites. This is equivalent to almost 20,000 hours that students have contributed to Harlingen’s business community. Soon “legacy students” will reach yet another milestone as they celebrate commencement at the HCISD Performing Arts Center in June. One hundred percent of the legacy class applied to college and were accepted. As a group, they have earned over two million dollars in scholarships.